Sri Lanka opener Dimuth Karunaratne may not join Hampshire as their overseas player, while selectors consider him as a potential World Cup captain. Karunaratne signed for Hampshire last month on a deal until mid-July. The 30-year-old is reportedly one of three players in line for the Sri Lanka role, currently held by Lasith Malinga. 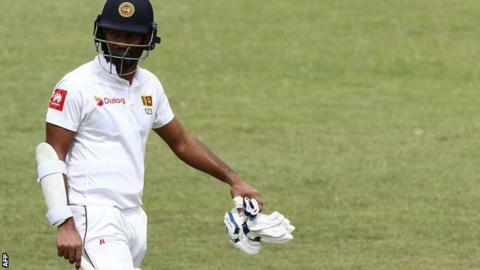 Karunaratne has been asked to stay in Sri Lanka during April and play in their domestic 50-over competition before the World Cup begins in May. Hampshire said they were in contact with Karunaratne and "working to establish his availability" while also considering an alternative signing if required. The left-hander's last ODI appearance for Sri Lanka came against England in the last World Cup in 2015. In February, he was appointed stand-in Test captain and helped Sri Lanka to a surprise 2-0 series victory in South Africa.